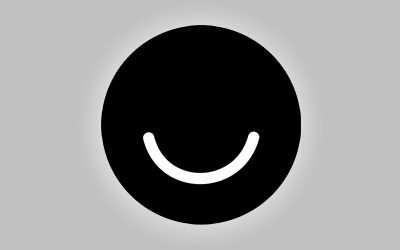 Ello, a social network start-up from Burlington, Vt. was co-founded by artists Todd Berger, Lucian Föhr, and Paul Budnitz. Launched last August 9 with just 90 users, it has exploded into the new anti-Facebook in the market. So what is Ello, and how is it different from Facebook? According to Ello’s website, “Ello is a simple, beautiful, and ad-free social network created by a small group of artists and desginers”. The creators had originally built this as a private network but they have been getting requests from other people to join in, that they decided to open it to the public. Ello is currently on an invitation-only basis, you have to know someone who is a member, or you can visit their homepage and sign up for an invitation to join. The founders stated that unlike any other popular social network out there such as Facebook and Twitter, they run on a completely ad-free networks, which guarantees your data safe and will not be shared with third party companies. In addition, you can opt out of their information sharing process should you prefer. You can read how they use your information here. As far as features goes, Ello’s founders are constantly adding to the current functionalities of the website, which includes, tagging, liking, email notifications and more. They are currently working on intergrating Paypal, Soundcloud, Youtube, and other third party apps, while also adding security features such as blocking, flagging for inappropriate contents, and private account settings. Though this may not sound as a good idea for brands who wish to represent themselves on this social network, we won’t know the potential of this social network until it’s actually launched. Is the virality a hype due to novelty? Or is it here to stay? Either way, we’re keeping a close eye on Ello, as it sounds like it’s the new kid on the block. 10 FREE FACEBOOK HACKS TO GET MORE ENGAGEMENT ON Y... Improve your posts visibility and engagement, so you can promote your products to the right people and at the right time, and all at ZERO COST.